A smooth and successful career is vital to lead a good life. however, achieving a good balance between career and personal life can become an issue. There are ups and downs that everyone faces in their career – stagnation, delay in increment or promotion or one may want to change their vocation altogether. The Vedicgrace Career Report can shed light on all these issues. 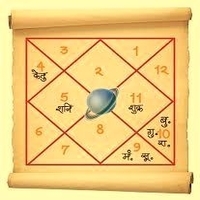 Our in-house expert astrologers will provide solutions for individuals seeking this career report. The expert will analyze the person’s natal chart and provide them with solutions and remedies to revamp their career and guide them on the right path.